HPPSC Naib Tehsildar Syllabus 2018 is provided in this article. The aspirants who will participate in the Naib Tehsildar, Tehsil Welfare Officer positions written exam which is conducting by the Himachal Pradesh Public Service Commission can download the hppsc.hp.gov.in Naib Tehsildar Syllabus 2018 and Exam Pattern. By using the HPPSC Naib Tehsildar, Tehsil Welfare Officer Syllabus candidates can quickly secure the good marks in the written test. We have specified the HPPSC Naib Tehsildar Syllabus 2018 PDF below on this page. Check the complete details about the HPPSC Naib Tehsildar Syllabus 2018 in this post. Candidates who will register the application process for the HPPSC Naib Tehsildar Recruitment 2018 can check the complete syllabus from this page. In this post, we have specified the topics of the pattern to help the students for the better preparation. We have provided the HPPSC Naib Tehsildar Syllabus 2018 in the PDF format on this page. Thus, the competitors can check and download to get the best way for their preparation. Before planning for the preparation, all the applicants need to collect the relevant details of the HPPSC Naib Tehsildar Syllabus 2018. In addition to this, the contenders can go to the below table to get more clarification about the HPPSC Tehsil Welfare Officer Syllabus 2018 for the written test. Contenders can find the syllabus topics for the Naib Tehsildar, Tehsil Welfare Officer exam. With the HPPSC Naib Tehsildar, Tehsil Welfare Officer Test Pattern, candidates will get an idea about the pattern of the exam. By following the below sections, each aspirant will know the topics which are going to be covered in the exam. We suggest the intenders make a perfect plan and start preparing now itself. We also arranged the easiest way to download the entire HPPSC Naib Tehsildar Syllabus 2018 in PDF Format in this article. So people before going to start your preparation must and should download HPPSC Naib Tehsildar, Tehsil Welfare Officer Syllabus Topics PDF. The candidates who have participated in the preliminary exam and get qualified will be only eligible to appear in the Main Exam. After the Main exam, the selected aspirants will be followed by the further process that is Interview. Paper – I: General Knowledge & Current Affairs contains 100 Marks. Paper – II: General English includes 50 Marks. Paper – III: English Essay for 50 Marks. Paper – IV: Hindi consists of 50 Marks. The time duration of the Paper – I is 2 Hours. The time duration of the Paper – II is 1 1/2 Hour. The time duration of the Paper – III is 1 1/2 Hour. The time duration of the Paper – IV is 1 1/2 Hour. In this post, we have mentioned subject wise HPPSC Naib Tehsildar Syllabus 2018. Candidates who are eligible to get placed in Himachal Pradesh Public Service Commission have to prepare well for the exam. Interested aspirants can download the HPPSC Naib Tehsildar Exam Syllabus 2018 from this article. For the aspirants, we are providing subject wise topics in this post. 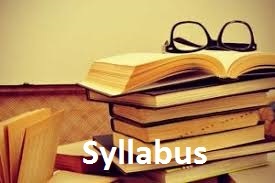 Contestants who want to know more information about Syllabus and Exam Pattern check this page thoroughly. Many of the interested candidates who had applied for this jobs this page will be useful to prepare for the exam. By referring the complete HPPSC Naib Tehsildar Syllabus 2018 and Exam Pattern aspirants have to begin the preparation. We suggested the applicants to check the whole details and get the subject wise topics. To know about the HPPSC Naib Tehsildar Recruitment 2018 aspirants can visit our web portal Sarkari Naukri. All the applicants need to finish the application process for the Naib Tehsildar, Tehsil Welfare Officer positions on or before the application process. So, all the competitors need to know about the registration process and know the information related to the applications. Along with it, refer to this article and collect the syllabus for the HPPSC Naib Tehsildar Officer Exam 2018. To gain excellent marks in the test all the students need to prepare for the written test with the help of the HPPSC Naib Tehsildar Syllabus 2018.